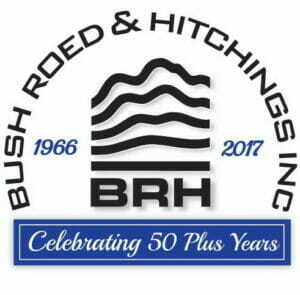 BRH supported the new arterial with topographic surveys of Mercer and Roy, together with all the lateral side streets – over 35 intersections. We provided full right-of-way plans, showing all utilities, and filed Records of Survey. The scope included 3D laser scanning two bridges conveying Dexter and Aurora Avenues above the corridor. As part of our services to the Port of Tacoma, BRH provided an existing conditions survey of the Outer Hylebos waterway. The scope included features and structures in the vicinity, including the East 11th Street approach roadway leading to the refurbished Hylebos Waterway Bridge. The BRH survey team provided a combination of traditional surveying and laser scanning to map 16 intersections in the Capitol Hill neighborhood. Each survey resulted in a comprehensive base map showing road geometry and above grade, surface and below grade utilities. This project mapped over 60-acres of utilities along the City of Blaine streets. Below grade, we captured pipe types and sizes, as well as rim and invert elevations. All surface features were shown, such as curbs, gutters, street centerlines, driveway cuts, spot elevations, utility poles, and signs. BRH served the City of Renton Public Works Public Utilities Division on an extensive watermain replacement program. We provided boundary and topographic surveys, and utility mapping along numerous arterial and side streets for the full right-of-way, extended to show limited topo of the residence footprints.